Picking the perfect name when you start a business is an essential step on your entrepreneurial journey. It needs to be done first before you begin your logo design. Whether you want a funny name like, The Codfather (Fish & Chips), or something more serious like, Fresh Look Painting, your organization name does not just affect one part of your company; it affects it all. From each email to booklet, to sales page, to the item itself, the business name needs to say it all. Therefore, selecting the best title for your business can help you soar to new heights of success or activate your downfall to business failure. So don’t take the unnecessary risk of taking a shortcut and rushing this business naming procedure. It can cost you a great deal more time, money, and social media presence if you launch with a lackluster or bad name and decide to rebrand later. This could make you fully change your name in the future later on. Worse, you might just need to shut down shop and begin afresh. Instead, carefully consider these hints, tips, and tricks so that you can think of the best name for your company while avoiding the common mistakes that most entrepreneurs make. There are six important factors to consider when choosing your business name to ensure you have a marketable and memorable name for your new business. A business must evoke the ideal emotional feeling from the beginning to compel buyers to purchase. And the great news is that inspiration can come from an assortment of sources. The legendary Steve Jobs decided on “Apple” because of the fruit-based diets that he was fond of. But the major reason is that it was a title that was not intimidating, it was fun and lively. The Best titles bring out positive emotions, not negative ones. And of course the title needs to be representative of the sort of product or service you are offering. If the emotion is positive but not aligned, it might confuse or irritate your marketplace. Another example is the new product name “Silly String” is fantastic for a child’s toy that does what its name implies. However, simply because the feelings implied are positive and enjoyable, does not mean it is a fantastic name for any organization. If you operate a cyber-security company, a ridiculous name like that could damage your brand irreparably. So work to evoke the ideal emotion for your customer. Ask yourself what your company wants to reach or make people feel: Efficiency? Affordability? Fun? Trustworthy? Safety? Speed? Creativity? Then explore what your true market segment is: Upper class? Lower Class? Middle Class? Men only? Women only? This will direct you in getting the emotions right on with your title. When determining the appropriate name for any business, the great entrepreneurs always look to the future. They inquire if the title will endure future expansion into a wider segment. Both great name, Google and Amazon are titles that could adapt to whatever product or service they supplied. By comparison, a title such as “ABC Computer Technologies” would need to be changed or you may have to have a new LLC formation as newer technologies were introduced into the marketplace. Remember video tapes anyone? The same holds for names which indicate a market that’s too narrow like “ACME Website Builders.” If this company wanted to expand into other electronic services like media, direct response marketing, or more, then they would need to totally rebrand or spend some time and money educating clients about their extra services. While some business owners may think being funny or visionary will acquire them brownie points with their buyers, it is not really a risk worth taking. Your business name shouldn’t risk offending individuals who would otherwise purchase your product: that is turning away free cash! But also bear in mind that names that appear innocent in country or market can lead to offense in another. In actuality, entire countries such as UAE ban certain sorts of profanity, references to God, along with other words in company names. So do your homework about principles and sensitivities on any places where you intend to do business. The last thing you need to do is select an excellent name only to learn it is not available as a domain name or social media manage. Bummer. The farther away your site name and social manages are away from the company name, the higher chance people will make a mistake or give up when searching for you. Do not take that risk: check out your name’s availability before finalizing your business name. Your name ought to be applicable and non-offensive, but it does not mean it should be dull. You want to cause a particular image in the prospect’s mind when they see or hear your company name. Take some time brainstorming ideas that will stick in your client’s mind long after they first know you. Like anything in business, sales, or advertising, testing is going to be your friend. The fact is it is impossible to assume that your target audience will like to your new business name, they may not resonate with it whatsoever. Rather than putting everything on the line and investing heavily in a business name for a startup too fast, conduct numerous tests on variations of your name to see which gets more positive response. Choose a name for your LLC and DBA right away – no need to wait until you have your company brand name finalized. It can be something generic, allowing you to get started while you dream up your perfect business name. Consult partners and colleagues for additional ideas. Some of the best business names come kids and employees. Conduct a professional Trademark Name Search. Save money where you can. Use this Legalzoom discount code BEST4B to order your business name lookup to be sure that your chosen business name is available for to use. Hurry into anything before you have applied the principles you have learned here. 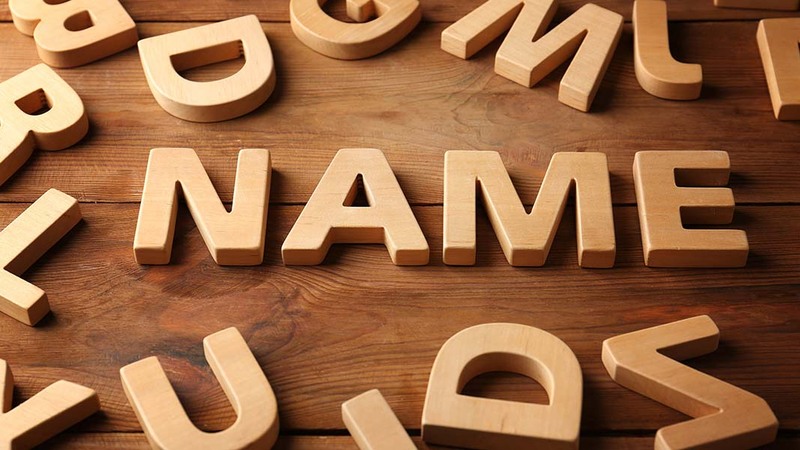 True, your business name alone won’t lift you to success once you begin a business, but a terrific name which speaks to your clients in an engaging and appropriate way is a great start to allow the other elements to fall into place. Virgin – An employee said we are virgins at business. Select a business name that confuses clients or causes them to laugh at you like Butcher Funeral Home. Instead, select one which encapsulates the best of your business benefits and speaks to your customers in a clear, engaging manner. This way, you will enjoy a distinct advantage over your competitors and gain their loyalty for years to come. Marsha Kelly sold her first business for more than a million dollars. She has shared hard-won experiences as a successful serial entrepreneur on her Best4Businesses blog, where she also regularly posts business tips, ideas, and suggestions as well as product reviews for business readers. As a serial entrepreneur who has done “time” in corporate America, Marsha has learned what products and services really work well in business today. You can learn from her experiences from shopping the internet for tools, supplies, and information to build your businesses and improve lives financially. Follow @bestforbusinesses on Twitter and Facebook.